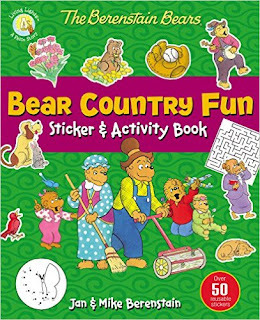 The Berenstain Bears come to life in The Berenstain Bears Bear Country Fun Sticker and Activity Bookthat fans are sure to love! 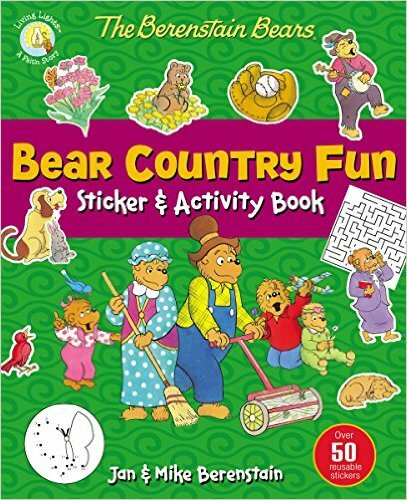 Join the whole Bear family in creative and interactive fun with 32 pages of age-appropriate activities such as word finds, mazes, puzzles, coloring pages, and colorful reusable stickers that are sure to please. Features Mama, Papa, Brother, Sister, Honey, and their friends from Bear Country. The Adventure Bible comes to life with puzzles, activity pages, and 50 reusable stickers in the newWild About the Bible Sticker and Activity Book. 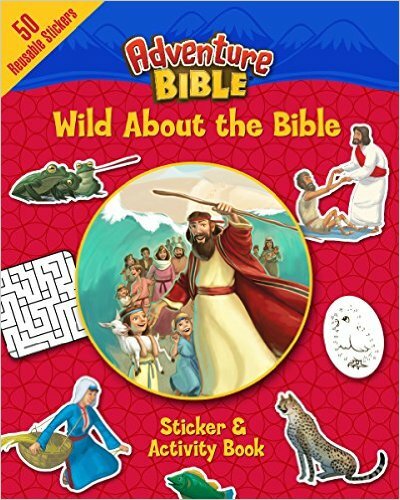 Featuring Bible time heroes and their adventures, activities are fun and engaging and will entertain as well as teach young children about familiar stories in the Bible. 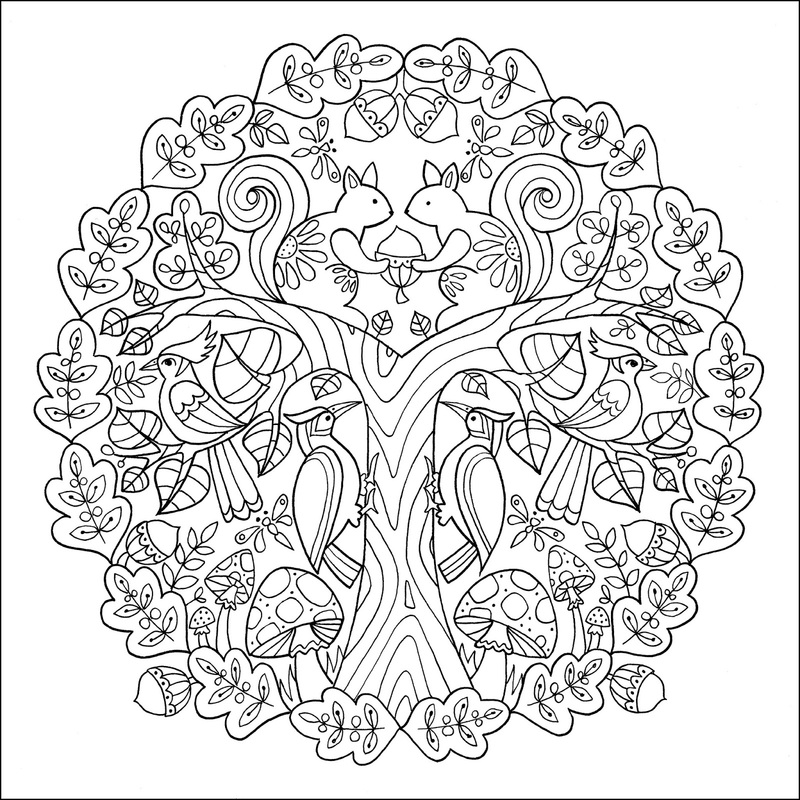 My thoughts: These activity books are fun for preschoolers and early elementary students. 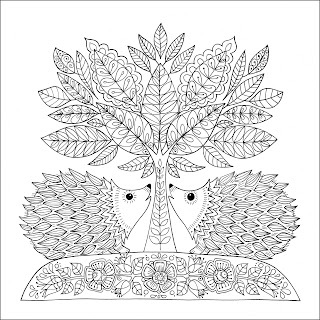 They have tracing letters, matching, sticker fun, mazes, word search and other puzzles as well as coloring pictures. 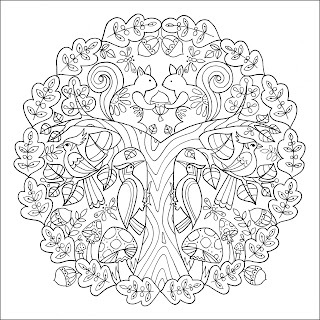 Great for a car trip, quiet time activities or for doing at Grandma's house. Great books for kids. Recommended. 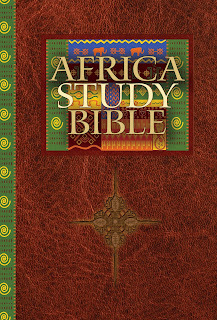 Designed to grow the faith of African church members, teach them to evangelize their communities, and apply a biblical worldview to their society, the ASB uses the New Living Translation and includes 2,400 plus features such as application notes, stories and proverbs, touchpoints that link Africa and the Bible, learn notes that explain basic theology, and major theme articles that apply the Bible to key issues. Oasis plans to initially release the ASB in English with French and Portuguese translations in development. Oasis is also developing a full-featured app of the study Bible. To support the effort, Oasis is partnering with Tyndale House Publishers to create the study Bible. Other participants include Campus Crusade for Christ, International, Willow Creek and Willow Creek Global Leadership Summit, IFES (International Fellowship of Evangelical Students), Scripture Union, Africa Leadership, TransWorld Radio, Moody Broadcasting, Center for Early African Christianity, PJA (Publications pour la Jeunesse Africane), MMD Global, The Livingstone Corporation, InSight Books, Urban Ministries Inc., and the Association of Evangelicals in Africa, with additional participants being added on a regular basis. When you give $5 or more to this amazing project you will receive a thank you shoutout on our Twitter and Facebook pages AND a special preview of the Africa Study Bible (ASB) book of Genesis! When you give $25 or more to this amazing project you will receive: - A social media thank you - ASB Genesis preview - 5X8 ASB inspired artwork PLUS you will also receive the complete Africa Study Bible in digital form through our App! When you give $40 or more to this amazing project you will receive: - A social media thank you - ASB Genesis preview - 5x8 ASB inspired artwork PLUS you will also receive your very own advanced hardcover copy of the Africa Study Bible! 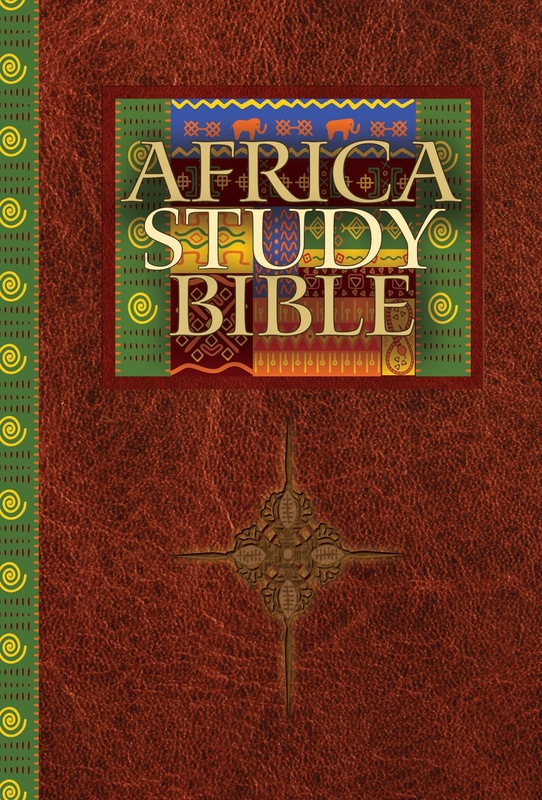 When you give $100 or more to this amazing project you will receive: - A social media thank you - ASB Genesis preview - 5X8 ASB inspired artwork - The full ASB app PLUS you will also receive the advanced limited edition genuine bonded leather Africa Study Bible! When you give $500 or more to this amazing project you will receive: - A social media thank you - ASB Genesis preview - 5X8 ASB inspired artwork - The full ASB app PLUS you will receive the limited edition, premium luxury, edge-lined goatskin leather Africa Study Bible! When you give $1,000 or more to this amazing project you will receive: - A social media thank you - ASB Genesis preview - 5x8 ASB inspired artwork - The full ASB app - The limited edition, edge-lined goatskin leather ASB PLUS you will receive two limited edition, numbered, matted and framed prints of Africa Study Bible inspired Tim Botts artwork! When you give $3,500 or more to this amazing project you will receive: - A social media thank you - ASB Genesis preview - 5x8 ASB inspired artwork - The full ASB app Africa Study Bible Kickstarter Rewards Breakdown - The edge-lined goatskin leather ASB - The two original matted and framed ASB inspired artwork PLUS you will receive an ALL EXPENSES PAID TRIP to the USA dedication of the Africa Study Bible hosted by Moody Broadcasting in Chicago! When you give $10,000 or more to this amazing project you will receive: - A social media thank you - ASB Genesis preview - 5x8 ASB inspired artwork - The full ASB app - The edge-lined goatskin leather ASB - The two original matted and framed ASB inspired artwork PLUS we will BRING YOU TO KENYA for the launch of the Africa Study Bible and a safari! When a simple misstep threatens to silence Lucy forever, a young boy and his soundless mother change the way she sees---and hears---everything. 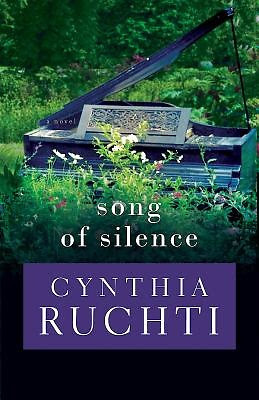 My thoughts: SONG OF SILENCE is Ms Ruchti's latest book. Realistic, at times like this about a school cutting budgets, eliminating music and the arts and the teacher forced into early retirement--whether she wants it or not. In this case, she did not. 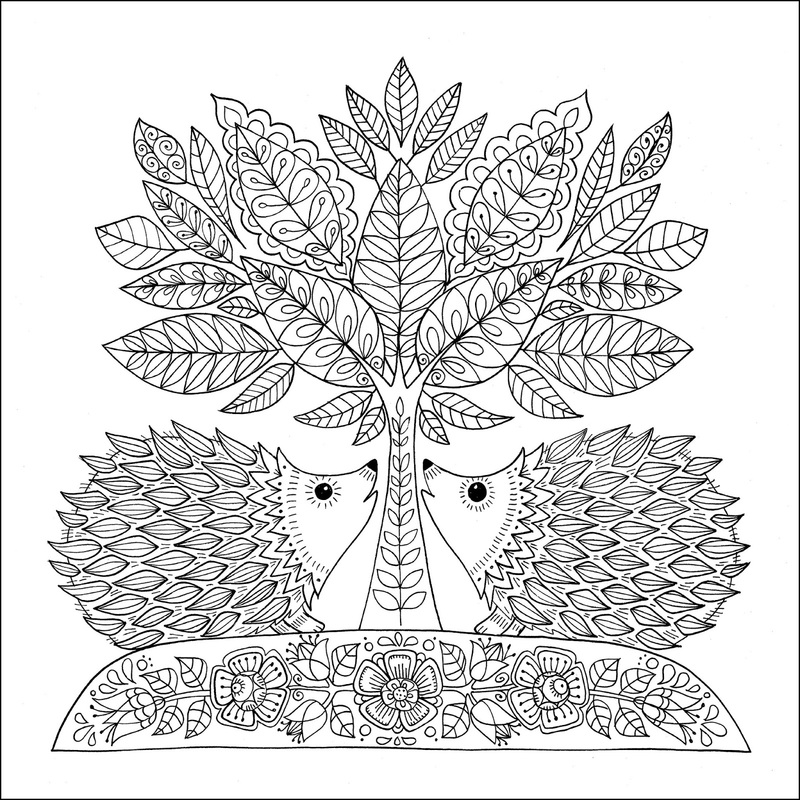 And Lucy struggled greatly, falling into depression, despite her wonderfully supportive husband and children. While impeccably written, timely, and with realistic characters, I found the overall tone depressing for me as a reader. I guess that's a sign the author did a fantastic job conveying the emotions if she depresses the reader, but most people (myself included) we don't read to get depressed. Life does a good enough job on it's own. Thank you very much. I have read all of Cynthia's books so far and loved most of them (with the exception of one) and now this one is joining that one. Not my favorite. That said, Ms. Ruchti is an extremely talented author and I applaud her for tackling this tough topic and writing it with such style. 3.5 stars. Cynthia Ruchti is the author of the critically acclaimed Where the Morning Glory Blooms and They Almost Always Come Home. 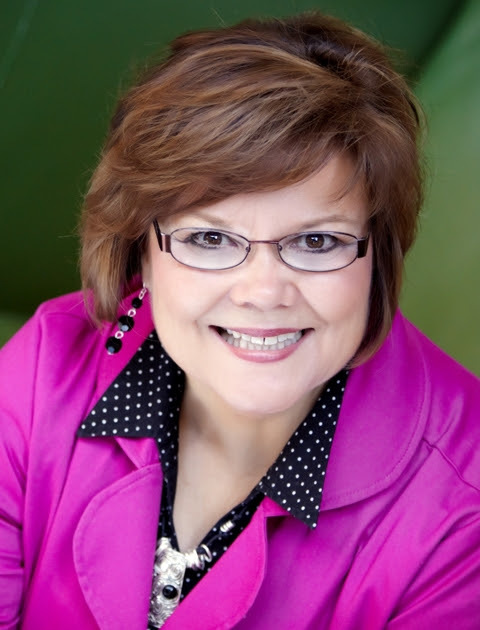 After 33 years as writer/producer of the daily 15-minute radio broadcast, The Heartbeat of the Home, Cynthia served a two-year term as president of American Christian Fiction Writers and currently serves as ACFW's Professional Relations Liaison. 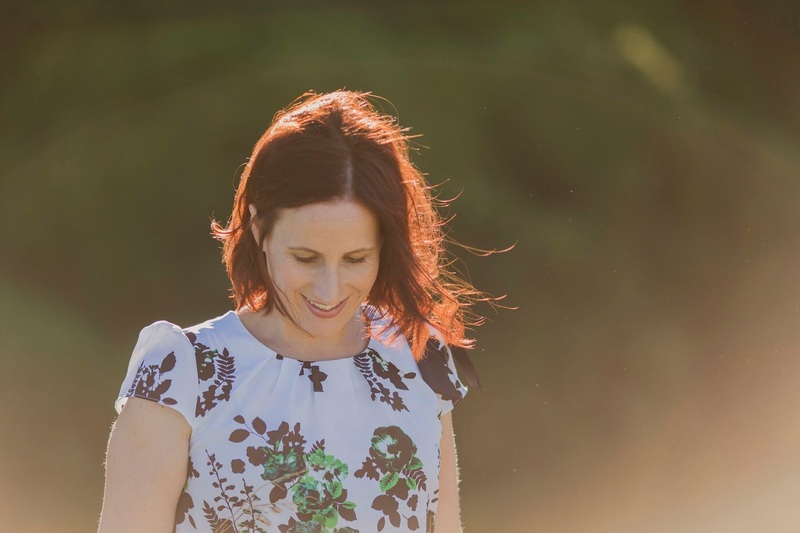 In addition to writing novels, devotionals, and magazine articles, she speaks for women's events and writers' conferences. Cynthia and her plot-tweaking husband live in Central Wisconsin, where she creates stories of Hope-that-glows-in-the-dark. Q & A with Kara Isaac and giveaway!!! 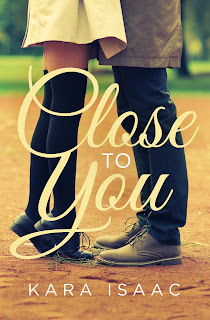 Kara is very graciously offering a copy of Close to You as well as a $10 Starbucks giftcard and a mug to one commenter. To enter, answer the question below and leave contact information. 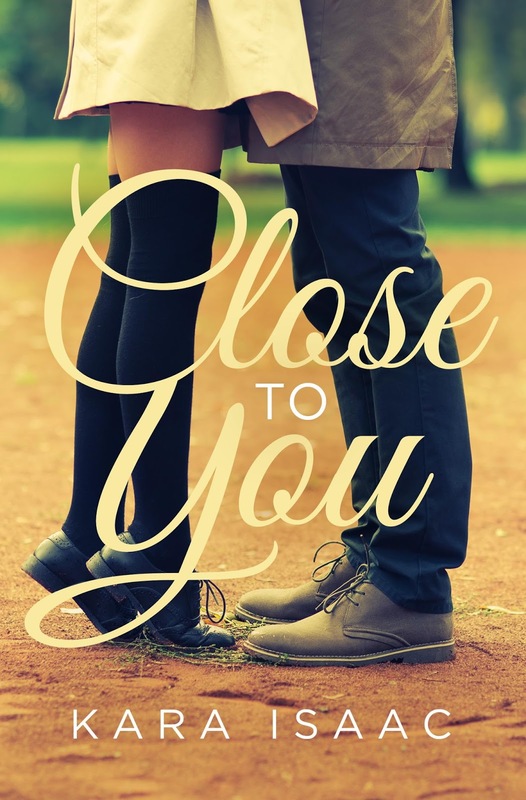 Close To You is a romantic comedy about a disillusioned academic-turned-tour-guide and an entrepreneur who knows nothing about Tolkien who meet on a Tolkien themed tour of New Zealand. I’m so excited that my debut novel is set in my native story and really hope readers love its themes of second chances and not allowing the mistakes of the past to define your future. YES! I love this question because I often want to know what happens to characters I’ve come to love after that last wonderful “happily ever after” scene in a romance novel. I’m thrilled that Jackson and Allie return as secondary characters in Can’t Help Falling, which releases in October, so readers get to be part of the next stage of their story from a slightly different perspective. I’m currently in copy edits for Can’t Help Falling. Set in Oxford, England, it’s a story about an elite rower who has has his Olympic dreams shattered by injury and a tabloid journalist trying to atone for a story she wrote that had tragic consequences. Like Close To You has a Lord of the Rings theme, Can’t Help Falling has a Chronicles of Narnia one. I love travel and have done quite a lot of it as part of my professional life but have never had the opportunity to do a big trip with my family. My dream vacation would be exploring a great city like New York or Rome with a willing grandparent or two to help look after our two pre-schoolers so my husband and I can sneak off for our own fun occasionally! Fear. Like all writers, I spend most of my writing time by myself staring at a screen and wrestling with imaginary people. When the magic happens there is nothing like it but a lot of the time it’s just about showing up and putting anything on the page, knowing you can work with something but you can’t work with nothing. When you’re creatively struggling it’s easy to let fear in. Begin to believe you’re a fraud. That the book that got you a contract was a fluke and you don’t have another good one in you. That you’re going to let down your publishing team and readers. I have to keep reminding myself that God didn’t open all the doors to me receiving a book contract to leave me alone now. Oh wow, there are so many things I wish I knew when I started on this writing journey almost eleven years ago. I would probably start with write what you love, don’t chase the current craze. It’s tempting to want to follow whatever the current “it” genre is but publishing trends come and go (I finished my first novel, which was chicklit, right on time for the whole genre to be declared dead and all editors wanting historicals!) I’m a big believer than when you’re writing in a genre that you love it shows on the page. Having said that, also be open to trying new things. I started writing chicklit and it took me a few years to discover that my true happy place is romantic comedy. The second thing I would say would be find a writing community. Writing can be a very lonely pursuit and most of us need people who understand the craziness that trying to put thousand of words on a page can entail. I have five close friends who I met through ACFW (American Christian Fiction Writers) years ago before any of us were agented and contracted. We’ve seen each other through the best times and the worst, in life and in writing. I’m pretty sure I would have give up on the crazy publishing dream long ago if it wasn’t for these amazing women cheering me on, believing in my stories, and talking me off the ledge when it all starts to feel impossible! If they were sitting at my day job desk it would be all very boring I’m afraid. A desktop computer, large sets of files and lots of paperwork related to the project I’m working on at the moment. The government department that I work for has been in a constant state of change recently and my team has just had our fourth location move in fifteen months and I haven’t even gotten around to putting up my usual family photo that travels with me. When I’m writing I don’t have a desk. I write on my laptop which lives on a tray that was originally designed for TV dinners! My usual writing spots are in bed or on the couch. I’m writing this sitting in bed and looking at the collage of family photos that sits on the wall and into the open door of a closet that desperately needs a spring clean! What’s on the horizon for you? What will you be writing next? I love to connect with readers online! They can find me at www.karaisaac.com, on Facebook at Kara Isaac – Author and on Twitter @KaraIsaac. My thoughts: A DREAM OF MIRACLES is the latest book by Ms. Reid. As a pharmacist, wow, she really out did herself in this book with her medical knowledge. This book is about every mother's worst nightmare, a horror story of social workers stepping in and a doctor intent on destroying a woman's life. Ms. Reid has brought angels and visions back into her writing and has written a story that no one will call predictable. I give it five stars for impeccable story telling, realistic characters, and tackling tough topics that need to be addressed. 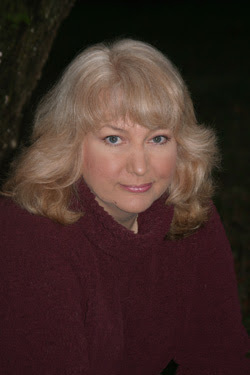 Ruth Reid is a CBA and ECPA bestselling author of the Heaven on Earth series. She's a full-time pharmacist who lives in Florida with her husband and three children. When attending Ferris State University School of Pharmacy in Big Rapids, Michigan, she lived on the outskirts of an Amish community and had several occasions to visit the Amish farms. Her interest grew into love as she saw the beauty in living a simple life. My thoughts: THE ATONEMENT is Ms. Lewis' latest. Not really a romance (despite the back cover copy), this is more women's fiction. The romance is very back burner. Written in many different points of view, it includes Lucy's, her married sister's, Marty's, her father, Christian's, and others. Some parts of the story were very confusing and I went back and read them twice, three times, sometimes not understanding anyway. I couldn't relate to these characters. 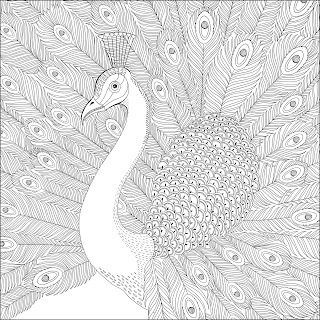 Very slow, this is not the Beverly Lewis book of years gone by. Seems she's lost her edge. 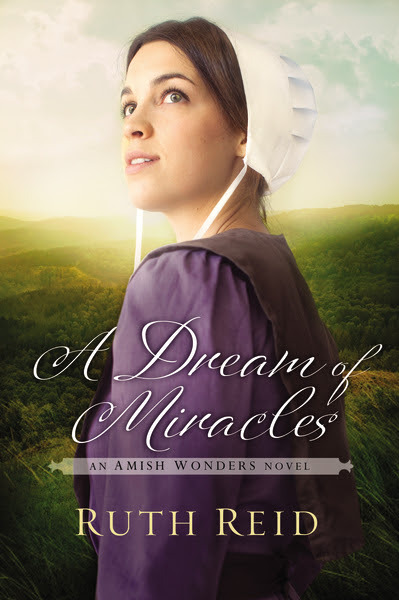 It also seems Ms. Lewis was trying to mimic other Amish authors with some of the themes included. 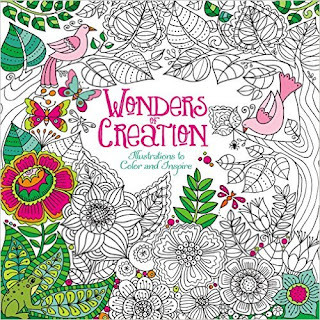 My thoughts: WONDERS OF CREATION coloring book is a great book to have around -- my fourteen year old daughter and my twenty-three year old son both pick it up to color in it. 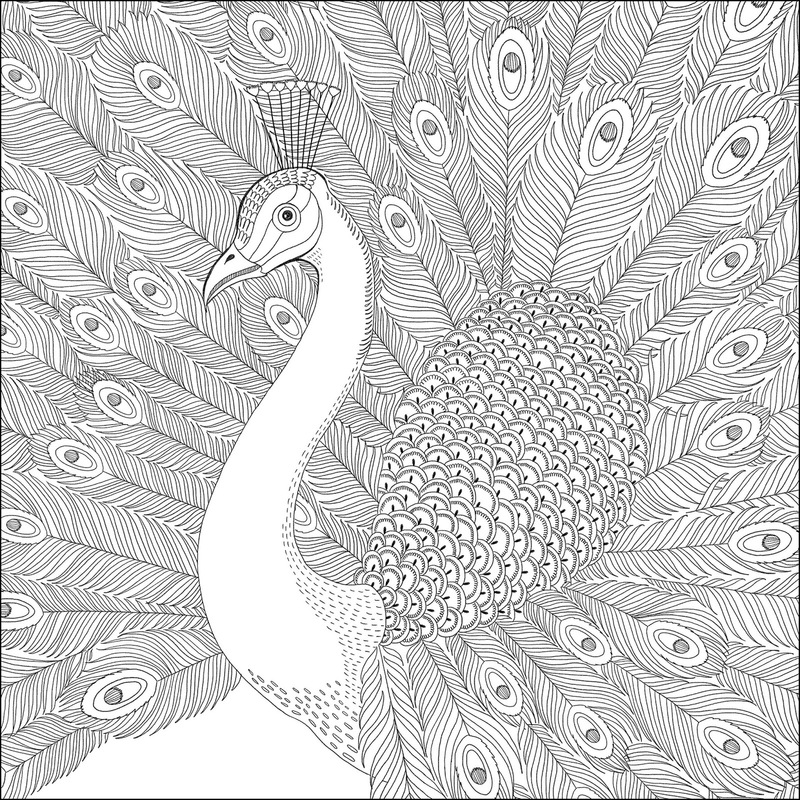 A great way to pass the time, calm down and de-stress, and create beautiful pictures of art. Great as a coffee table book, for an anytime gift, for nursing homes, hospitals, and even prisons. 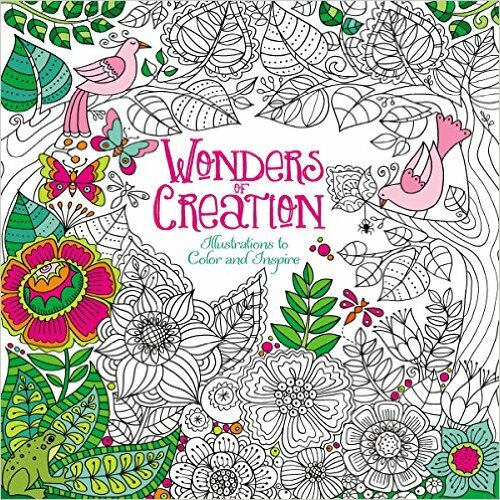 If someone you know loves coloring, then pick up a copy of WONDERS OF CREATION. Recommended for children and adults! Q & A with Lori Benton and giveaway!!!! NEW PICTURE BOOK ALERT! And Giveaway!! !